The rays of the setting sun blanketed the lodge roof, warming Brett Cunningham, his camera, and his beer. He focused on the acacia tree, hoping for a leopard, but the glare blinded him. "These rallies don't change anything." "You're wrong. This protest will be different." Isaac Mtonga picked at the thatch. "I'll find that telephoto lens you want. You should come with me." A big roan antelope entered the clearing, his horns casting a curved shadow upon the waterhole. Brett tracked it with his viewfinder as the roan dipped his head to the water's edge. "Leave the government thugs to the city types. I'll stay right here and film 20 hours a day." At first glance, Chasing the Leopard Finding the Lion—Julie Wakeman-Linn's debut novel set in Zimbabwe and neighboring Zambia—reveals little about the origin of its author. Given her name and the authentic feel of the story, after the first few chapters it would be easy to assume that this is a white African's fictionalized account of her own experiences. But it delivers an accurate picture of the black political experience, as well. And also a pinpoint perfect take on expatriate life. Most African writers focus best on one population – not three of them. But the author is an American. Someone who came, saw, experienced and returned home to write about it. For many Americans, the Dark Continent holds a mysterious power not always perceived as inviting. Wakeman-Linn got past this attitude by getting to know and mentor African students in the US. But then, as she tells it, "I expected [Africa] to be quite ordinary, just like the middle class Midwestern that I am." When she finally had the opportunity to go to Zambia and see for herself, she jumped at the chance, but there were surprises. "For the first time in my life, I was absolutely in the minority—racially and socioeconomically… I had to adjust and learn to trust. I did that by getting to know real Zambians, my housekeeper, the office's driver and my husband's colleagues." She also experienced the parallel experience of being part of an expatriate community, a unique society created by foreigners living abroad. She discovered that they were "…a playful lot, who like living outside the US and its social structure and rules." Working with such a large palette, it is impressive that she's managed to create a rather tight and historically relevant tale. It's 1997. Brett and Isaac are two young Zimbabwean men, white and black respectively, working at a local safari lodge that caters to foreign tourists. Brett is a guide and photographer with a deep appreciation for the natural world, as well as a growing interest in Elise, an expat visiting the lodge. Isaac, a gifted mechanic, keeps all the lodge's vehicles and mechanical infrastructure running, when he isn't following in his father's footsteps as a political activist. The two young men grew up as brothers on a shared farm with their parents, a model of the kind of society Zimbabweans once envisioned. But Zimbabwe is in turmoil. The hopeful days, when a "rainbow nation" of shared power between black and white citizens seemed possible, are over. President Robert Mugabe's armed thugs are threatening white farmers, seizing their lands and homes, and putting a vicious stop to any dissent from those blacks and whites who see the country slipping into political, social and economic chaos. When Isaac returns from a demonstration in the capital city, Harare, he is intercepted by police who beat him and—worse—pose a threat to his extended family. Brett is not interested in politics, and wishes that Isaac would concentrate on avoiding trouble. When their families' farm is invaded, and Isaac is on the run from the authorities, the young men strike out for Zambia in search of safety. Given this new refugee experience, the journey to a more hopeful future is increasingly difficult, and along the way their deep connection and their inevitable differences are tested. Conflict—always at the heart of good fiction—is the axis of this novel. Rotating around Brett and Isaac are a multitude of cultural tests: racial, ethnic, political, linguistic, tribal and national. These are layered over their distinctive and sometimes incompatible personal qualities. Isaac must accept that the dreams of his father may never be realized. Brett must find a way to survive in the Zambian capital of Lusaka, where the city lifestyle is at odds with the outdoor life he loves. Both must resolve their relationships with each other, the women in their lives, and the parents they have left behind. Ultimately, however, this storm of challenges—carrying both loss and transformation—informs their growth into adulthood. Kathleen: Your book is reminiscent of many southern African memoirs or memoir-based works of fiction written in recent years, although your plot is unique. Did you read any Zimbabwean, Zambian or other African writers? Julie: Yes, lots of them, including Maria Thomas, Alexandra Fuller, Barbara Kingsolver, Peter Godwin and a collection called Mothers of the Revolution: War Experiences of 30 Zimbabwean Women, and even Alexander McCall Smith. I loved little quiet collections of Zambian stories and proverbs. A graduate professor of mine, Margaret Meyers, worked with me on my novel and her book is called Swimming in the Congo. Once I left Zambia I read everything I could find because I missed it. Kathleen: Which work most impressed you? Julie: Maria Thomas, author of Come to Africa and Save your Marriage, was an inspiration and a standard of excellence to strive for. Kathleen: How did this reading help shape your novel? Julie: My reading of these other writers forced honesty and accuracy and I think it also helped me craft an original vision of, not their Africa, but my own Africa. Kathleen: This book resonates with my knowledge of southern African history, on which you clearly draw. Why did you choose this particular year in Zimbabwe’s history, rather than an earlier or later time? Julie: Zimbabwe, both the rural agricultural and the wild natural beauty, were for me almost a spiritual home. When we were there, the society was working. Blacks and Whites working side by side, the bountiful agriculture and the amazing wildlife. I followed the news for years and was horrified when Mugabe began his reign of terror. The shooting of the white farmers by fake war veterans triggered the political aspects of the novel. Kathleen: Did you find you needed to make any historical “adjustments” of real-life events to get everything to fit into this very specific one-year time span? Julie: Yes, I condensed the siege on the farms and the opening of the farms in Zambia to fit the time frame. Kathleen: Most works of this nature tend to focus on the black experience or the white experience, but your book attempts to address both at the same time. Was this difficult to do? Julie: Yes, I was very aware that I was crafting a point of view that was entirely fictional as I am not a black man or even a white man. The family and fraternal relationships, I felt, were stronger than skin color. Kathleen: What sources helped you build the authenticity of both voices? Julie: I think my years there, talking with, working with, arguing with white expatriates and white Africans and black Africans. I drew on my conversations with all of them. If I didn’t mention the support of my writing mentor, Richard Peabody, I would be remiss. He is the same age as my brothers and when said he believed in the voices of the characters, it gave me the confidence to try. I feel particularly lucky or blessed because my publisher’s general manager, Tapiwa Muchechemera, is Zimbabwean and he is the person who wanted to bring out my book. Kathleen: Do you see this story as a political statement or a more personal one? Or do you combine both objectives? Julie: In my day job, I teach rhetoric and composition as well as creative writing. I believe in an informed citizenry, so when a functioning democracy in a place I loved, Zimbabwe, collapsed under a dictator, I was furious. But the novel is also my love song to Zim-Zam, its amazing people and incredible beauty. Kathleen: Each of the two protagonists – Isaac and Brett – has his own orientation. Brett loves wild nature and Isaac is more oriented toward the work of the farm. Brett prefers photography and Isaac machinery, etc. Did you draw from your own interests in creating their likes and dislikes? Julie: I have three older brothers, all who loved nature. My father, also a nature lover, was the mechanic and the photographer. I was the youngest sibling and trailed after them every chance I got. Brett and Isaac are a blend of their influences on me. Kathleen: What were your greatest stumbling blocks? Julie: I think it was getting the amount of detail right. I wanted the reader to enjoy and see Africa without it becoming a travelogue. Kathleen: Finally, what specifically did you love so much about being there? Julie: For me, there is no peace quite like immersion in the natural world. For example, take a game drive in the untamed savannah. I never knew what was going to turn up next and it didn't matter what it was ... bug, bird, flower, cheetah mother teaching her son to hunt ... It (sky, bush, animals) was bigger than me, and in its vastness I was calm. I find the same thing sitting and watching birds in my yard and garden, or watching the Indian Ocean … on the Chesapeake Bay and the Outer Banks of North Carolina. Kathleen Ambrogi is an American who has spent most of her life abroad, in Europe, Africa and Southeast Asia. After earning her M.S. 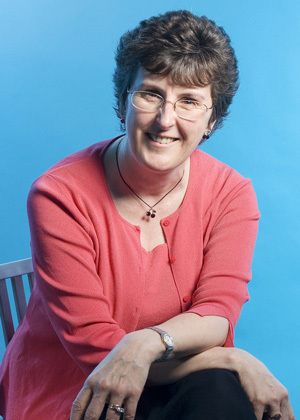 in English Education, she taught English, Social Science, Art and Information Technology in schools around the world. Today she is a professional writer, sharing her impressions of cultural forces through fiction and nonfiction. 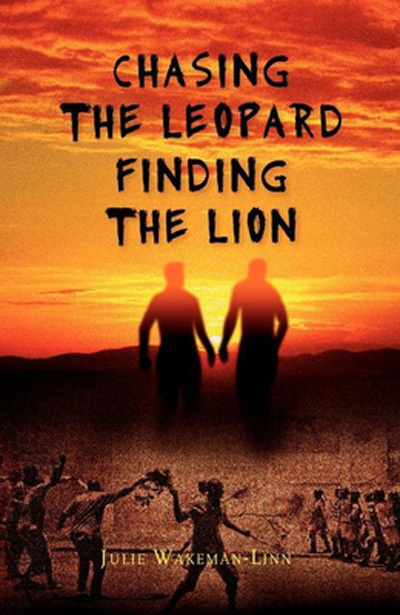 Chasing the Leopard Finding the Lion is published by Mkuki na Nyota Publishers of Tanzania. It is available in paperback, 9789987081783, ©2012, from the African Book Collective, your local bookstore, or online book retailer.